Pakistan vs West Indies Live Streaming Cricket Score PAK vs WI 2nd ODI: Today, it is the second one-day international game of the 3-match ODI series. The Caribbeans won the first ODI by 4 wickets and it was a thrilling game to watch. West Indies will try to win the second game too, to win the series with it. It is being played at Providence Stadium, Guyana. Jason Mohammad and Kieron Powell helped their team to become victorious in the first one-day international match. It has given them immense confidence as they chased down 309 successfully. The hosts must be happy as it was a challenging target to achieve. The Pak vs Wi live cricket streaming is available on Sony LIV in India while live telecast on TV is available on Ten 1 HD and Ten 3 in both Pakistan and India. Watch: MI vs KKR Live Stream. It was a tough target to chase, but hosts’ Mohammed made 91 not out for 58 balls along with Ashley Nurse who scored 34 from 15 and eventually, the team crossed off the opposition’s total. It was the first time when WI chased down such a huge score in its 44-year old history. Pakistan made 300 plus with Mohammed Hafeez who made an outstanding 88 runs. Pakistan’s opener Ahmed Shehzad utilized the early opportunity and made 67 runs while Shoaib Malik scored 53 from 68 deliveries. 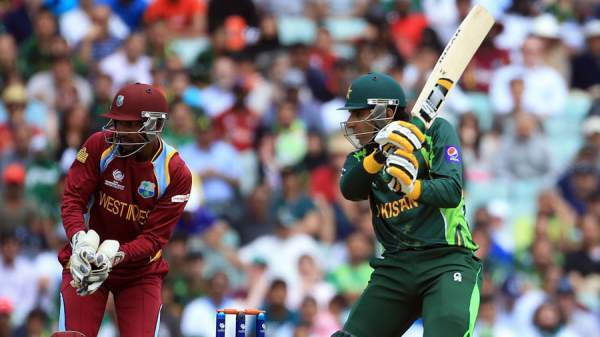 The PAK batsmen helped their team to equal their second highest total against WI in 50 over cricketing format. Pakistani team lost the match due to their pacers who didn’t deliver up to the mark and expectations. Evin Lewis, Powell, Nurse, and Mohammad made their team to win the match. Pakistan should learn from their mistakes and win this do or die match. Pakistan‘s batsmen did their job very well and they should hope their bowling department works as per the need of the hour. Pakistan XI (possible): Shehzad, Akmal, Azam, Hafeez, Malik, Ahmed (capt, wk), Wasim, Khan, Amir, Ali, Khan. West Indies XI (possible): Lewis, Walton (wk), Powell, Hope, Mohammad, Carter, Holder (capt), Nurse, Bishoo, Joseph, Gabriel.